Before Honey Ray Howard was born, her mother, Lydia, took a holiday from the States to England and fell in love with a British fisherman in Dorset. Varying circumstances prevented them from marrying or ever seeing each other again. The book opens with Lydia on her deathbed and thirty-two-year-old Honey reading her mama's diary about her father and the year before she was born. 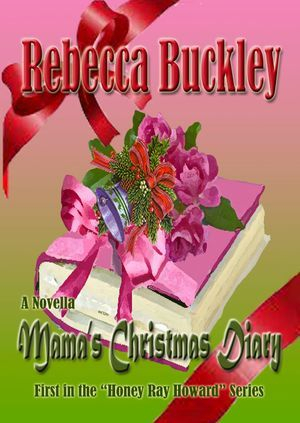 Now Honey Ray's life takes a sharp turn and the road gets rougher before a year later and a very special Christmas ending. This is the first book in a new Romantic Mystery series (Honey Ray Series). There is romance, suspense, and mystery ... something for everybody. Please email me (to the left) and let me know what you think of this book, I'd really appreciate it. You can also give a review on Amazon which would be more than appreciated. In addition to the 'Purchase Now' button above taking you to Amazon, books are available at all Internet bookstores and ebook stores, and can be ordered at your favorite neighborhood booksellers.